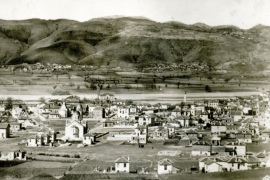 How did Kardzhali receive its name? Haskovo Thrace Herpetological Society exotic animal species exhibition visits Kardzhali on its way to “World and Human Being” Museum for a week. From today on, Kardzhalians have chance to see the very different animal species for a week. P. R. Slaveykov High School volleyball team is the champion of the province. The team of the Kardzhali’s major school’s 8-10th class students defeated all its rivals and climbed to the top.